The Jägerstüble is a true treasure. With its local flavor and smart layout, the Jägerstüble creates a warm atmosphere of cozy comfort – “Gemütlichkeit” as the locals call it. It has been thoroughly restored and great care as been taken in order to preserve its special charm of days long gone by. 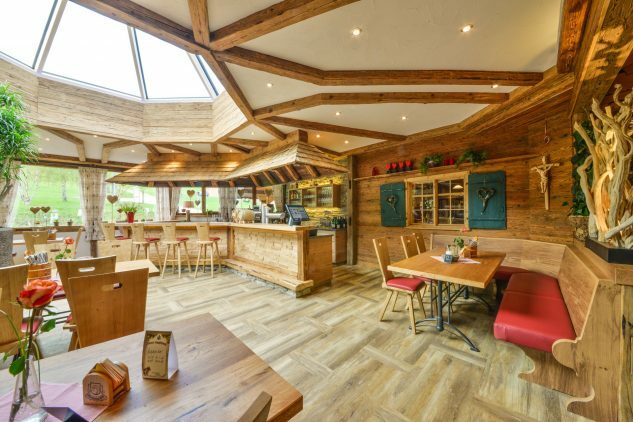 The beautiful interior with a lot of wood, pleasant colors and great love for detail will draw you in. 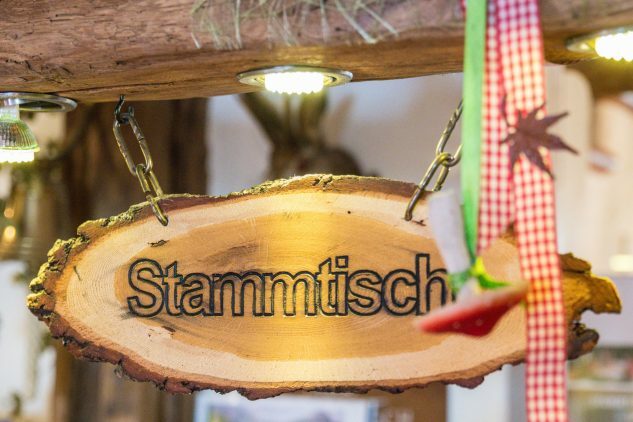 In the Jägerstübl, the regulars or other small groups meet up for hearty food and a chat about good times. Cozy and rustic, but also well-kept and modern like our house – memories of old times are alive here. This small hall has an impressive lighting and an alluring atmosphere. The genuine wooden interiors stand in an artful contrast to the large windows and the room’s special geometry. Our beautiful bar with its light wood works as a bridge between those two worlds. In the small hall we welcome many regular guests and friends of the open, light concept in this part of the house. The effective little accents such as red seat covers and the lovely way the light shines through the large windows give this room a placid atmosphere until late in the evening. 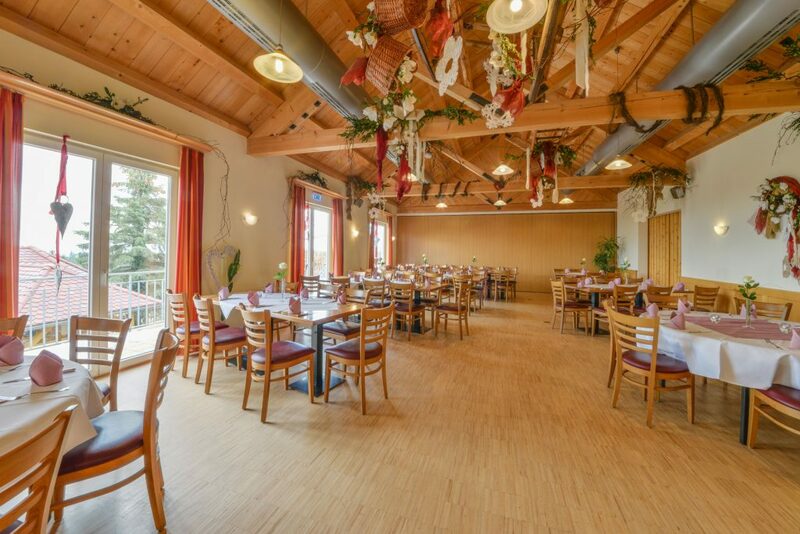 The large Hall of the Deutsches Haus is spacious enough for up to 120 guests. 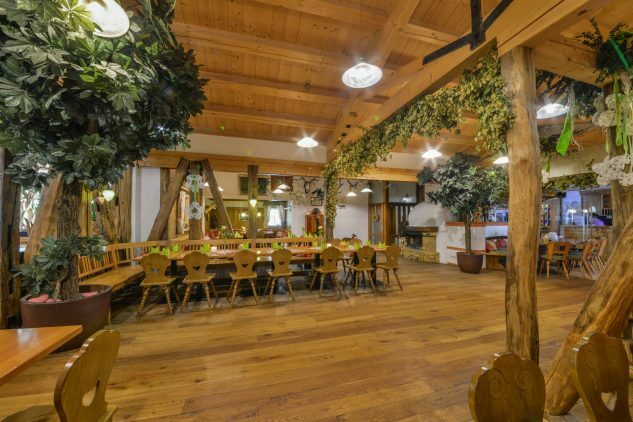 Therefore this part of the house is especially popular with groups. 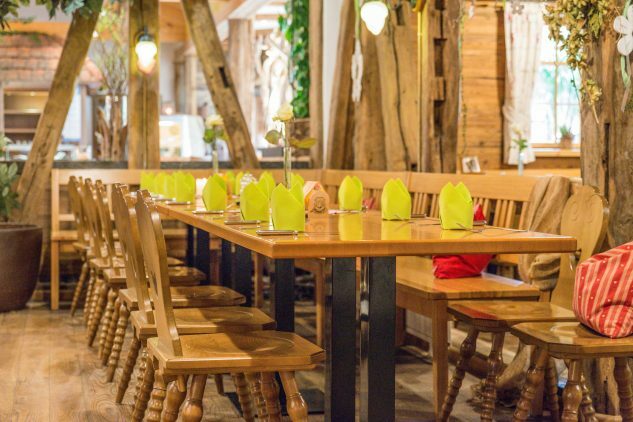 The comfortable chairs and massive wooden tables are perfect for tired travelers to relax, have a nice meal and recover from a long journey. 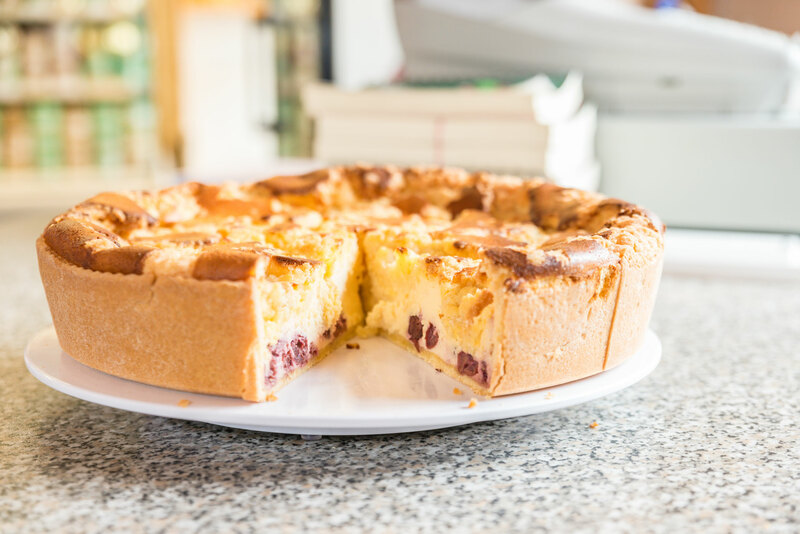 The hearty Swabian cuisine served by our friendly personnel will make time fly. This large dining hall is equipped with large windows and lovely open beams. In addition, there is a large balcony overlooking the garden. Outside we have a beer garden and our sunny terrace with 100 additional seats. When the weather is nice on Sundays or holidays, we open the bicycle point at the lake. 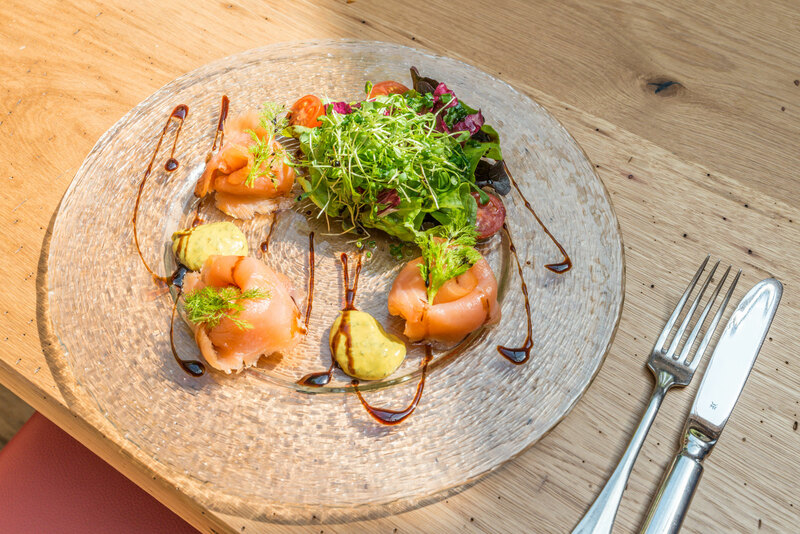 The old tavern is very old and offers the perfect surroundings to try the traditional and regional dishes on our menu. This special place owes its historic design to the fact that its interiors consist exclusively of skillfully restored elements. 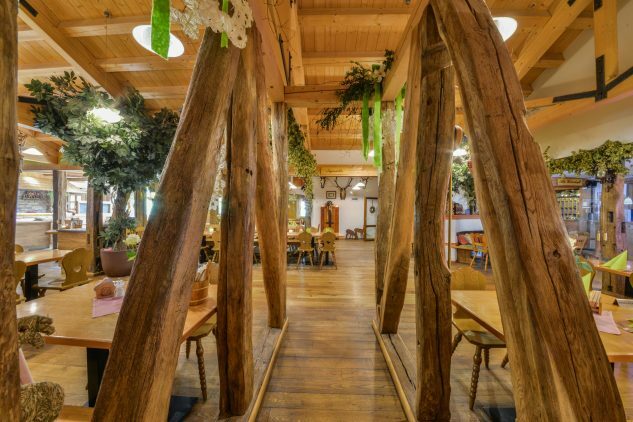 The open rafters and the beautiful wooden floor are complimented by typical plants, symbols and emblems of the area such as deer antlers or hop cones. 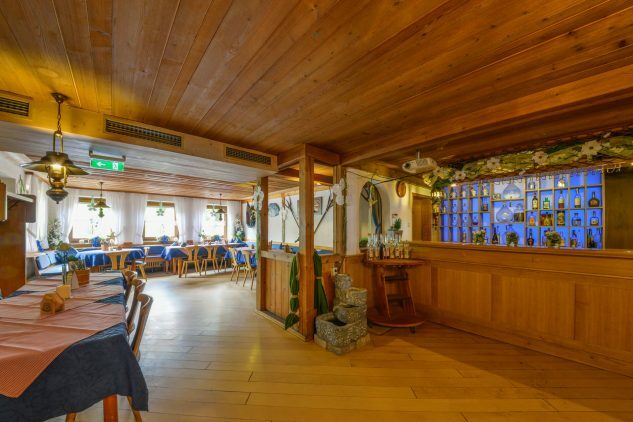 Eating a delicious meal accompanied by a cool beer or a crisp wine perfects the experience and the atmosphere you can only find in this old inn. 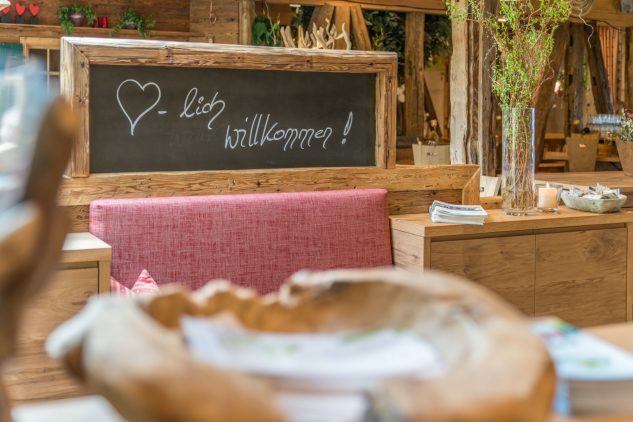 Our outdoor terrace with its great view of the beautiful natural surroundings and the Old Tavern are definitely the best places to experience the famous Swabian “Gemütlichkeit” – the homely coziness that the German south is known for.